Both teams to score is a great way to bet on all types of football matches. This is a betting style and a concept that is easy enough to understand, which allows opportunities for predictions on several championships. Do you want to bet on today’s matches and you do not know how? You’re in the right place. Finding reliable predictions has never been easier. If you do not have time to do the calculations for this betting system, don’t worry. 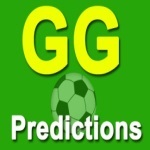 We offer you free predictions that meet the betting system requirements. In this section, enjoy the list of matches to create your football both teams to score bets.